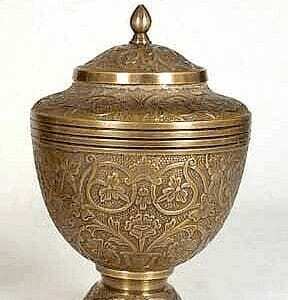 Cremation of a Dead Body: Right Or Wrong? There is no Bible verse that specifically addresses the issue of cremation in terms of whether it is right or wrong for Christians. In fact, God does not give any commandments about what a society is supposed to do with dead bodies. In the biblical culture there were many different ways of dealing with the dead, and God does not specifically and directly encourage or prohibit any of them. The preferred method of dealing with a dead body in ancient Israel was to bury it, but that was a custom, not a commandment. There were times when bodies were cremated, such as when the people of Jabesh Gilead cremated the body of King Saul, which had been desecrated by the Philistines, and they also burned the bodies of Saul’s sons (1 Sam. 31:12). Also, the bodies of some criminals were cremated, such as egregious sexual offenders (Lev. 20:14, 21:9). Achan and his family, who brought the wrath of God down upon Israel, were cremated by the congregation (Josh. 7:25). Also, as is indicated in Amos 6:10, if there was a siege or plague, the bodies of the dead may have been burned. It is possible in these cremations that the bones were collected and buried, as was the case with Saul (1 Sam. 31:13). Why does it not seem to matter to God what we do with our dead? Although we may never be completely sure, one thing we do know: it places great emphasis on what we do while we are alive. The words of Ecclesiastes might ring in our ears: “Whatever your hand finds to do, do it with all your might, for in the grave, where you are going, there is neither working nor planning nor knowledge nor wisdom” (Eccles. 9:10). Furthermore, no matter how dead bodies are handled, eventually they go back to “dust.” God said that to Adam some 6,000 years ago, and it is quite true: “…for dust you are and to dust you will return” (Gen. 3:19). The Hebrew word translated “dust” is aphar, which is translated a number of ways in the Old Testament: dry earth, dust, powder, ashes, earth, ground, mortar, rubbish. There are a number of ways this decomposition back to dust can happen. A person could: 1) be buried, and slowly decompose underground; 2) be burned up in a fire, and thus decompose quickly; 3) drown, and eventually decompose under water; 4) die unattended and be eaten by animals and insects. Eventually, no matter how we die or what happens to our bodies afterward, we will end up as “dust.” Apparently from God’s perspective, in terms of how to dispose of a dead body, there is no right or wrong way for that to happen. A point that is worth considering when it comes to the treatment of dead bodies is that after God raises the dead and judge them, each person will have one of two fates: live forever with God in a body that will never die and thus never need to be buried or cremated; or else be thrown into the lake of fire where the person will at some point be completely burned up, cremated by God. Although there is no correct way to deal with a dead body, there is a right thing to do with your living body: get saved, come unto a knowledge of the truth, and serve God. If you get saved, you can be assured you die, you will be raised to everlasting life in a new body, never to die again. Every that if you do “fall asleep” before Christ comes for the Church, no matter when or how Christian will one day live again when the Lord Jesus comes to raise all dead Christians and take us up to meet him in the air, forever to be with him (1 Thess. 4:16 and 17).